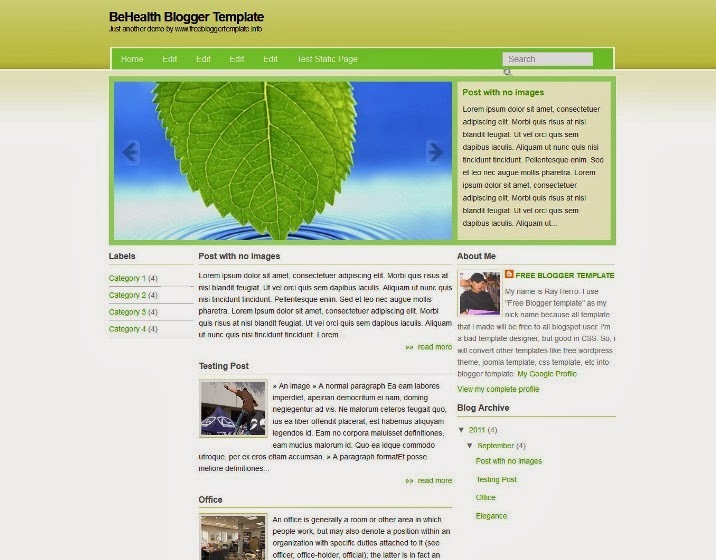 Best Collection of Free Blogger Templates for Health. 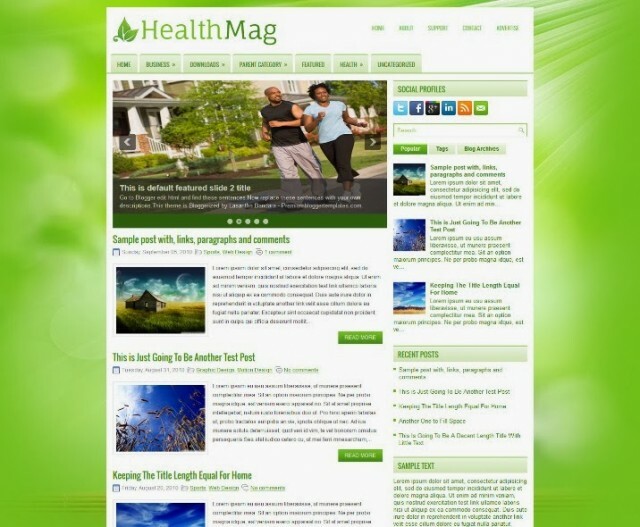 HealthMag is a free blogger template for health magazine. features: 1 Sidebar, 2 Column, 4 Column footer, Adapted from WordPress, Elegant, Featured Section, Fixed width, Fresh, Green, Magazine, Nature, Premium, Right Sidebar, Slider, Tabbed widget, Top Navigation Bar, Web 2.0, White. eHealth is a free blogger for health magazine. Template features : 1 Sidebar, 2 Column, 3 Column footer, Adapted from WordPress, Blue, Elegant, Featured Section, Fixed width, Fresh, Header Banner, Premium, Right Sidebar, Slider, Tabbed widget, Top Navigation Bar, Web 2.0, White. 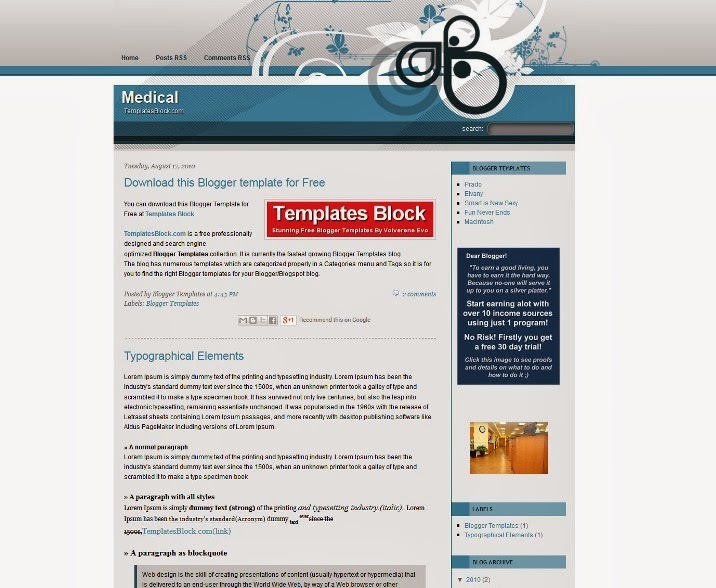 Medical is nice looking Blogger template for medical bloggers. The template has colors and layout very related to medical blogging. HealthFitness is a free blogger for diet and health fitness Magazine. Template features : 1 Sidebar, 2 Column, Adapted from WordPress, Blue, Elegant, Featured Section, Fixed width, Fresh, Header Banner, Pbtemplates, Premium, Right Sidebar, Slider, Tabbed widget, Top Navigation Bar, Web 2.0, White. 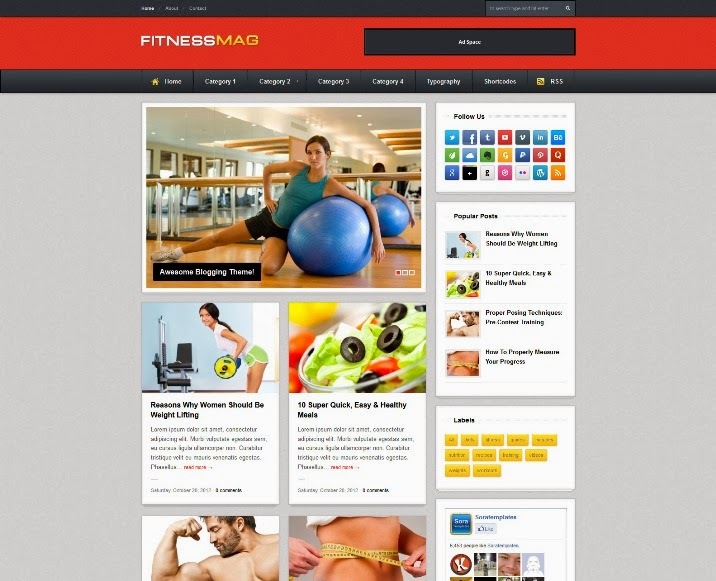 FitnessMag is a free blogger template for health & fitness magazine. Template features : WordPress Look, 3 Columns, Right Sidebar, Magazine, Featured Content Slider, Fixed Width, Gray Background, Social Widget, Dropdown Menu, Header Banner, Page Navigation Widget. 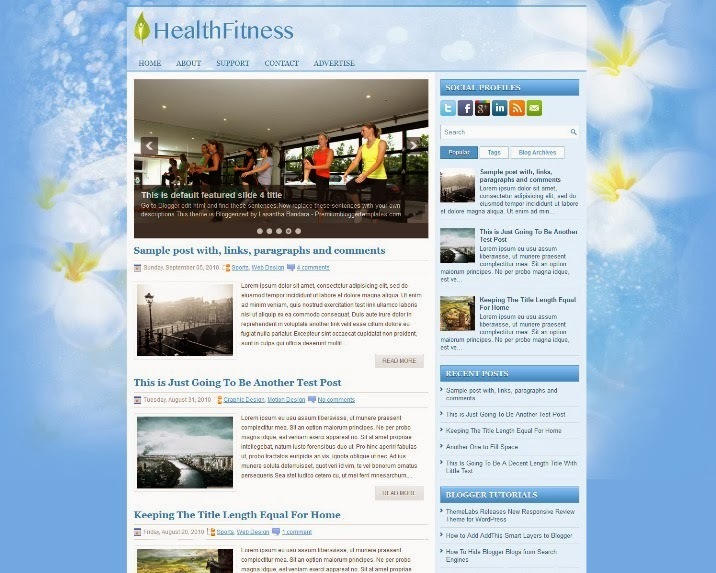 Yoga Craze is a free blogger template custom design with 1 Left Sidebar, 2 Column, Blogger, Fixed, Green, Health, Natural, White. Exercises Blue is a free blogger template for health. custom design with 1 Left Sidebar, 2 Column, Blogger, Blue, Fixed, Girly, Health, two colomn, horizontal menu, simple free premium template, created with artisteer, 1 left sidebar, suitable for medical blogs. 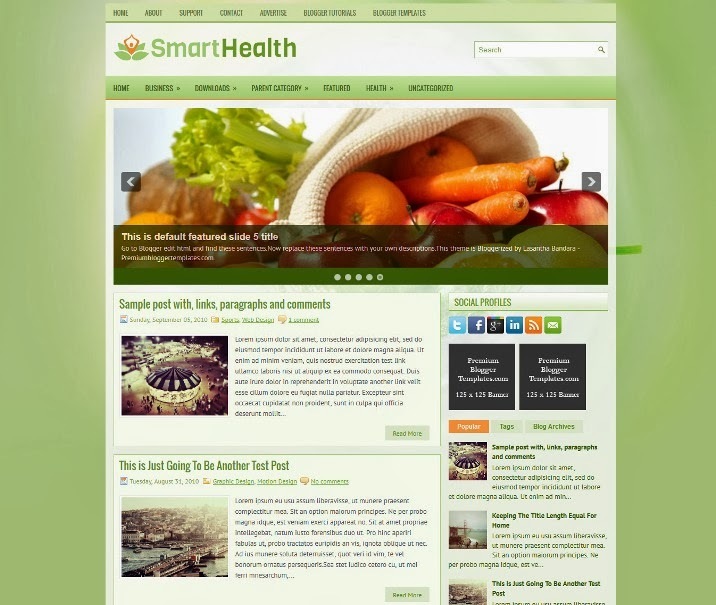 SmartHealth is a Responsive blogger template, 2 Columns Blogger Template for Health Blogs. SmartHealth Blogger Template has a jQuery Slider, Dropdown Menus, Header Banner Box, 4 Columns Footer,Tabbed Widget and More Features. 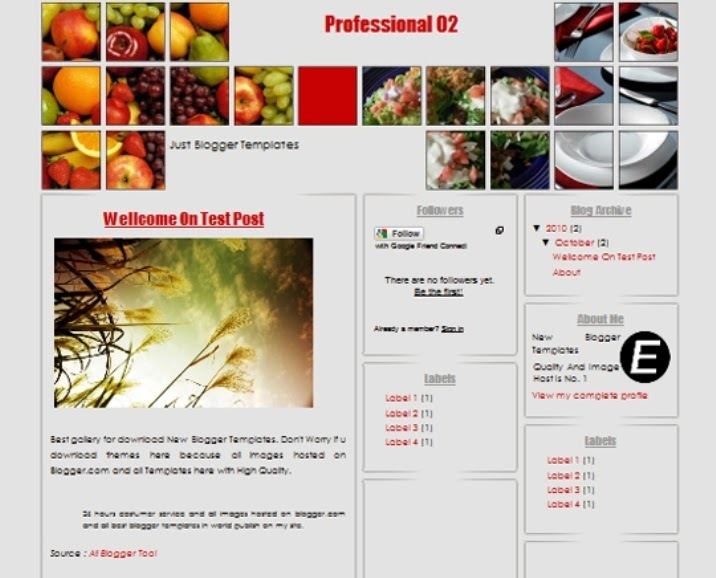 Professional 02 have feature as three columns template with main column on the left and two sidebars on the right. Create with simple design make this templates very beautiful and interesting. 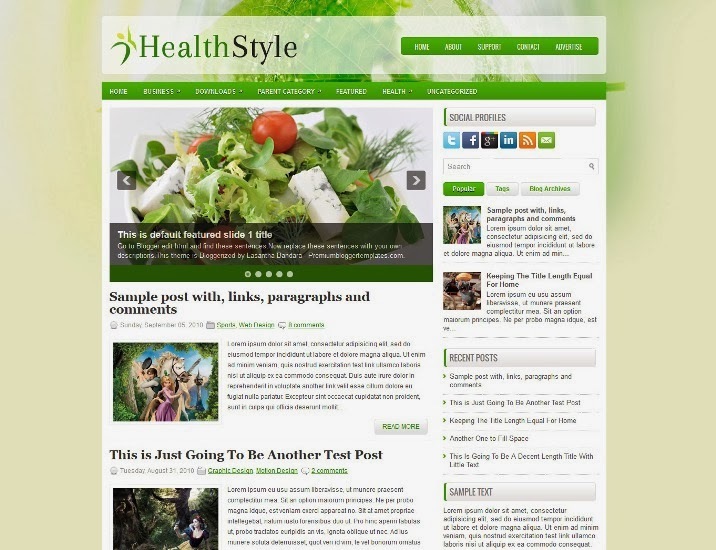 HealthStyle is a free blogger template for health. Template type : 1 Sidebar, 2 Column, Adapted from WordPress, Elegant, Featured Section, Fixed width, Fresh, Green, Magazine, Nature, Premium, Right Sidebar, Slider, Tabbed widget, Top Navigation Bar, Web 2.0, White. BeHealth is another magazine style blogger template with fast loading pages. Targeted for Health niche blog but also suitable for all type of blogs. 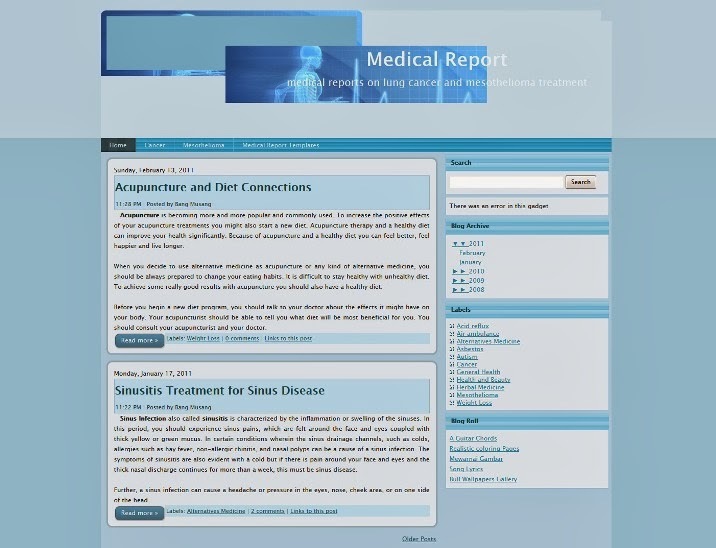 Medical Report is a free blogger template custom design with 1 Left Sidebar, 1 Right Sidebar, 3 Column, Blogger, Fixed, Green. 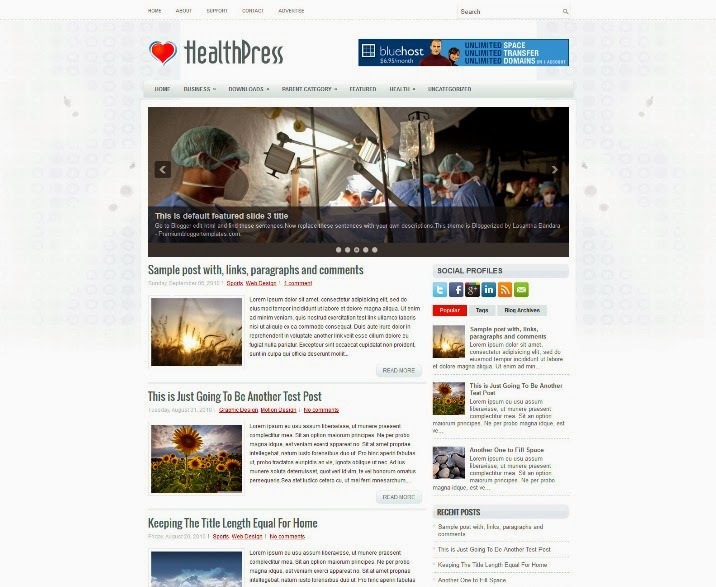 HealthPress is a free blogger template for health magazine. Template type : 1 Sidebar, 2 Column, Adapted from WordPress, Elegant, Featured Section, Fixed width, Fresh, Header Banner, Magazine, Premium, Red, Right Sidebar, Slider, Tabbed widget, Top Navigation Bar, Web 2.0, White. 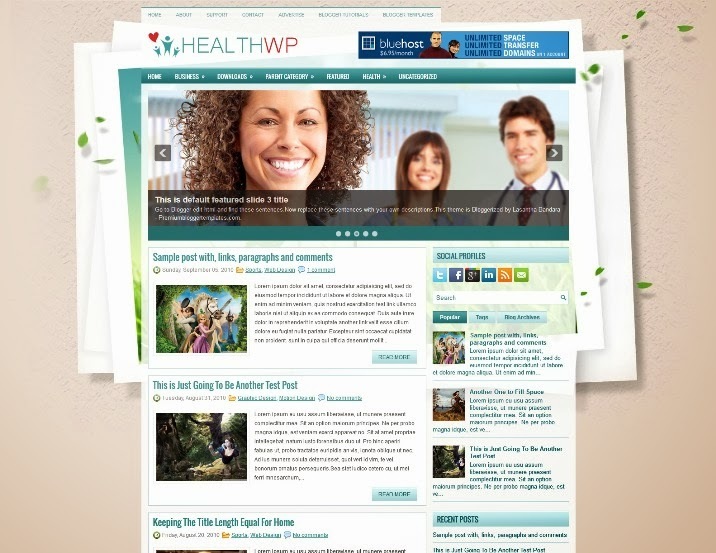 HealthWp is a free blogger template for health magazine. features are 1 Sidebar, 2 Column, Adapted from WordPress, Elegant, Featured Section, Fixed width, Fresh, Green, Header Banner, Magazine, Nature, Premium, Right Sidebar, Slider, Tabbed widget, Top Navigation Bar, Web 2.0. 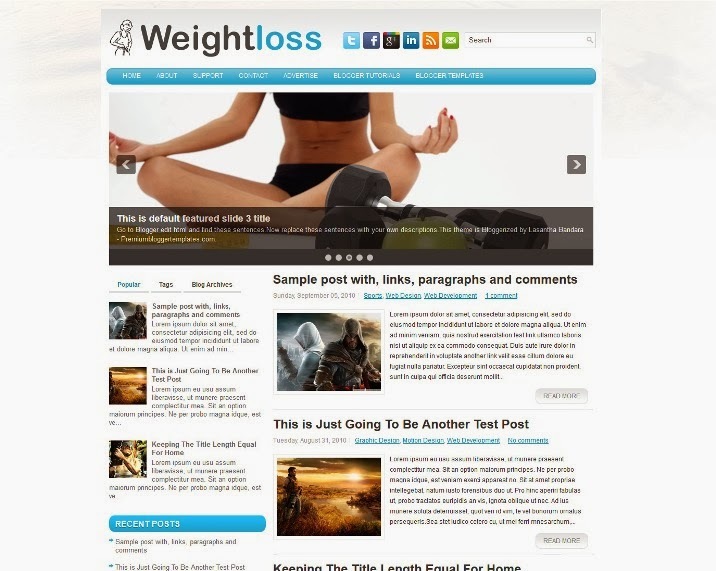 WeightLoss is a free blogger template for health & fitness magazine. features are 1 Sidebar, 2 Column, 3 Column footer, Adapted from WordPress, Blue, Elegant, Featured Section, Fixed width, Fresh, Left Sidebar, Magazine, Premium, Rounded corners, Slider, Tabbed widget, Top Navigation Bar. 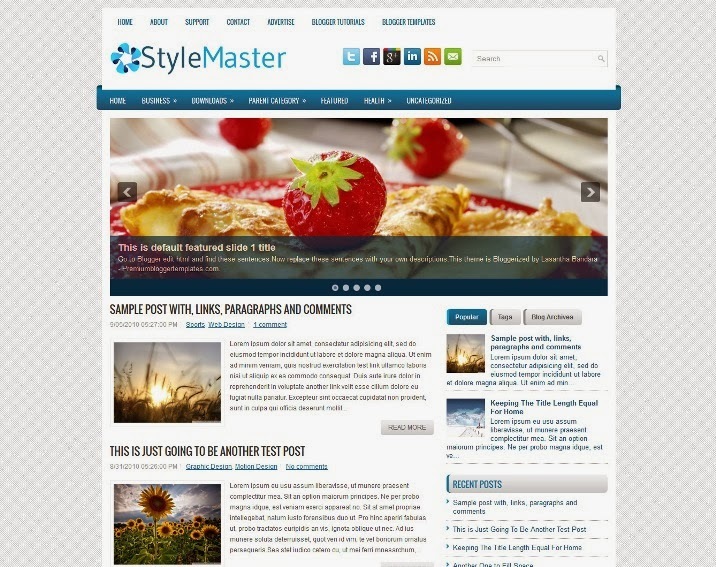 StyleMaster is a free blogger template for health magazine with 1 Sidebar, 2 Column, Adapted from WordPress, Blue, Elegant, Featured Section, Fixed width, Fresh, Right Sidebar, Slider, Tabbed widget, Top Navigation Bar, Web 2.0, White. 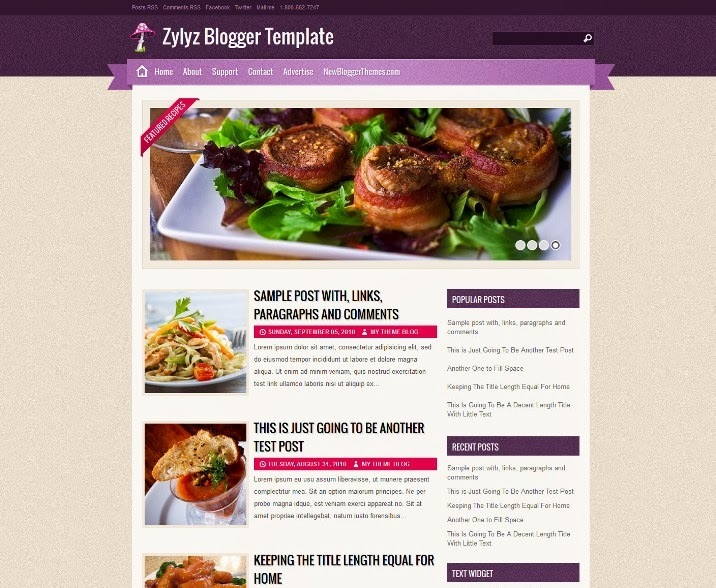 Zylyz is a free blogger template for health and food magazine. Template type : 1 Sidebar, 2 Column, 3 Column footer, Adapted from WordPress, Elegant, Featured Section, Fixed width, Fresh, Magazine, Premium, Red, Right Sidebar, Slider, Top Navigation Bar, Web 2.0, White, Yellow, Purple, Recipe/Food. 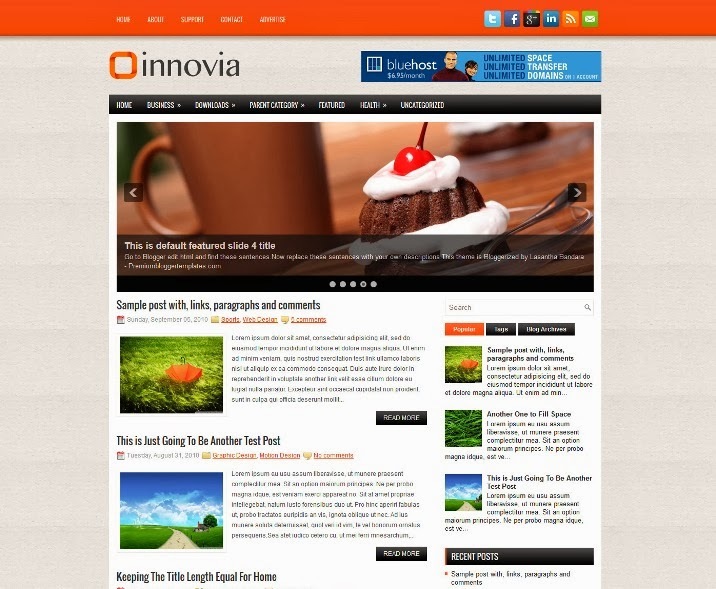 Template type : 1 Sidebar, 2 Column, Adapted from WordPress, Black, Elegant, Featured Section, Fixed width, Fresh, Header Banner, Magazine, Orange, Premium, Right Sidebar, Slider, Tabbed widget, Top Navigation Bar, Web 2.0, White. 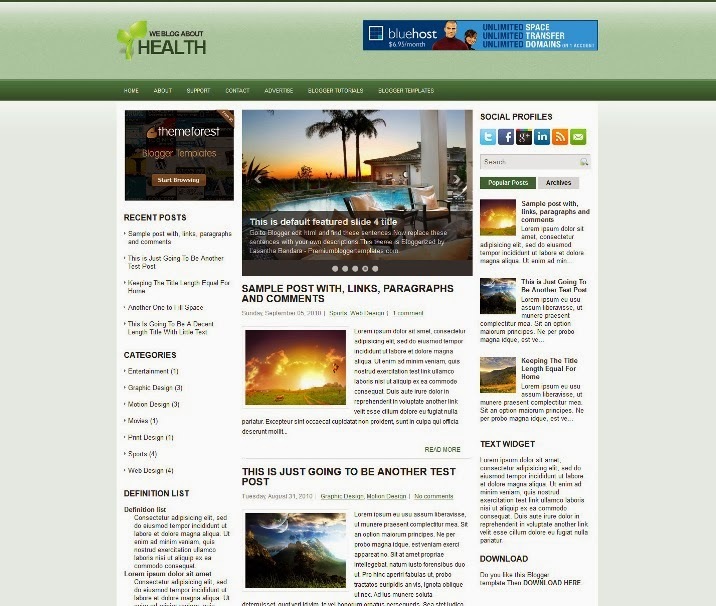 HealthCase is a free blogger template for health, 2 Sidebar, 3 Column, 3 Column footer, Adapted from WordPress, Black, Elegant, Featured Section, Fixed width, Fresh, Green, Header Banner, Left Sidebar, Magazine, Premium, Right Sidebar, Slider, Tabbed widget, Top Navigation Bar, Web 2.0, White. 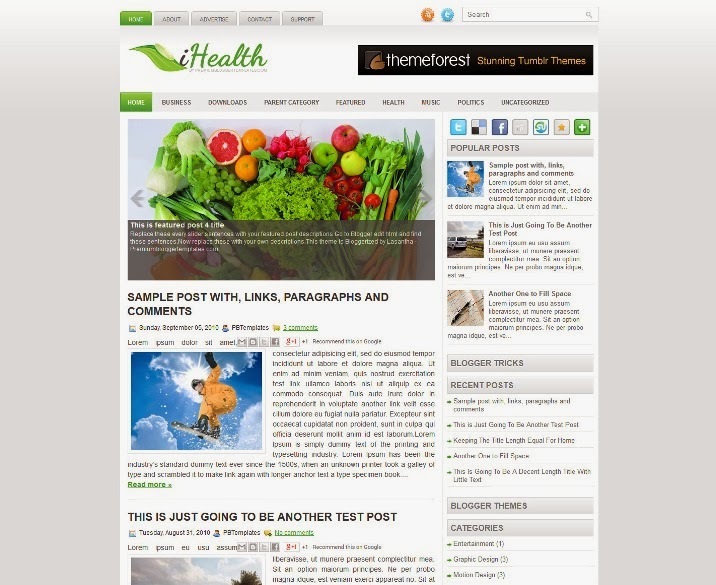 iHealth Template is a free blogger template for health with 1 Sidebar, 2 column, Adapted from WordPress, Featured Section, Fixed width, Green, Grey, Header Banner, Magazine, Right Sidebar, Rounded corners, Slider, Top Navigation Bar, Web 2.0, White, Health. 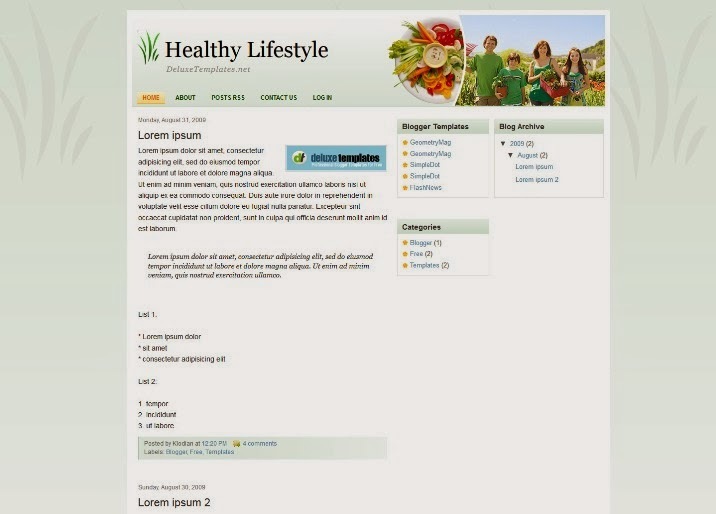 Healthy Lifestyle is a free blogger template for health. features are 1 Sidebar, 2 Column, Adapted from WordPress, Fixed width, Right Sidebar, Top Navigation Bar, White. 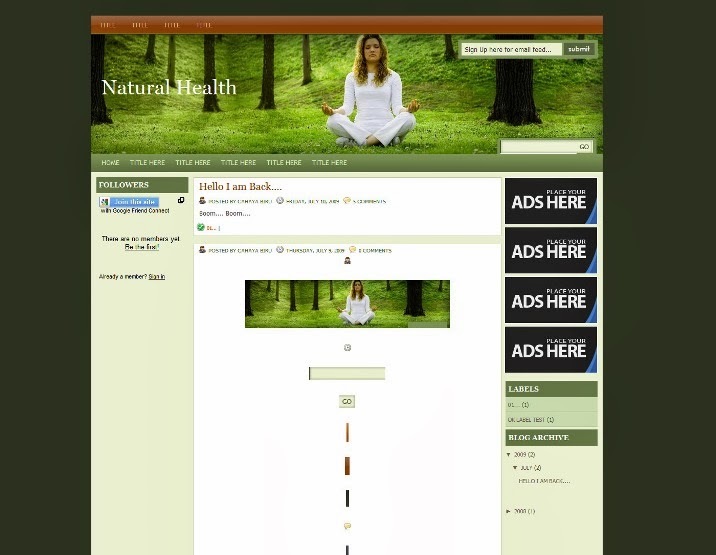 Natural Health is a free blogger template for health. Template features : 2 Sidebar, 3 Column, Adapted from WordPress, Fixed width, Green, Left Sidebar, Right Sidebar, Top Navigation Bar, White. 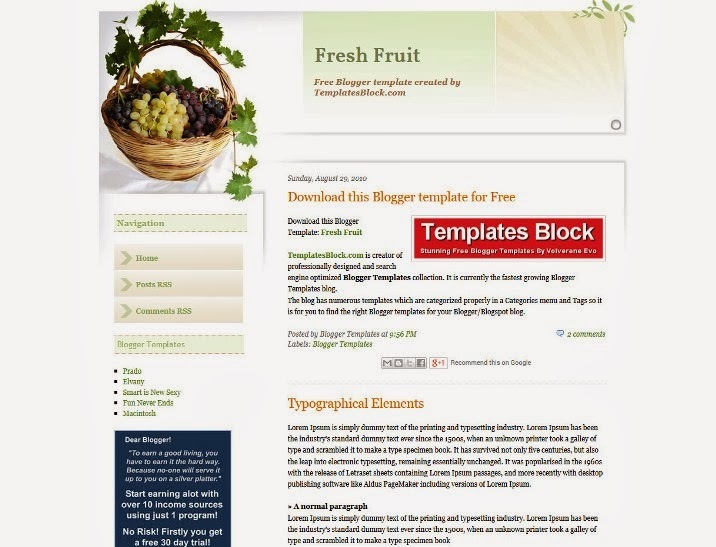 Diet Recipes is free blogger templates today with good design because have fruit i likes on this templates. Very red blogger templates, feature on this templates is compatible on all browser, clean dashboard, easy to use and ads space for you sponsor to added on this templates. 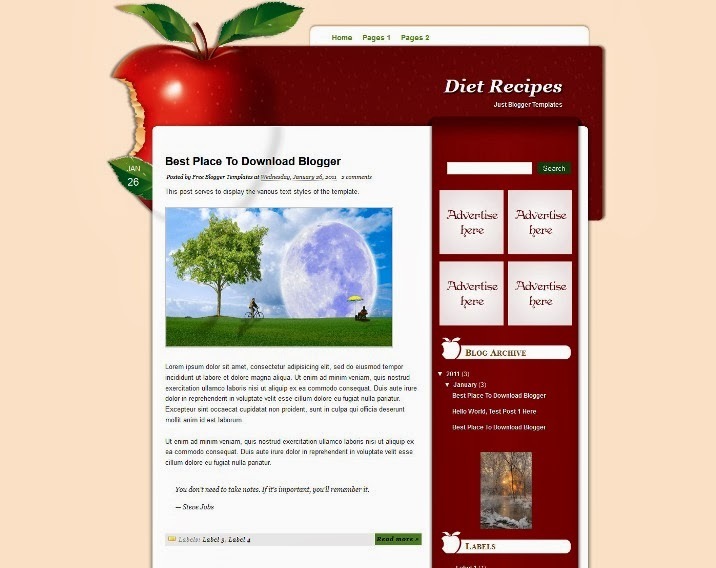 This themes very suitable for blogs related about cook, diet, woman, and personal blogs. Thanks for sharing this list of health blog.